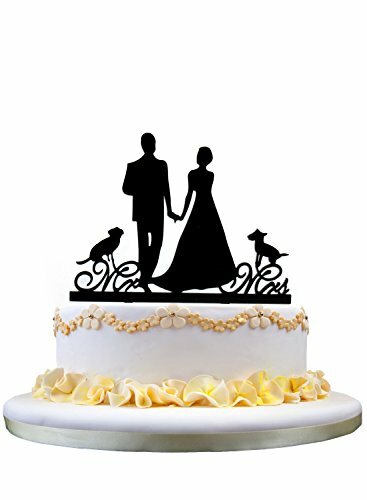 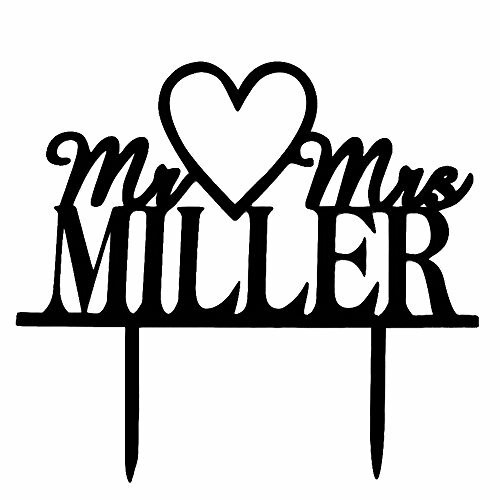 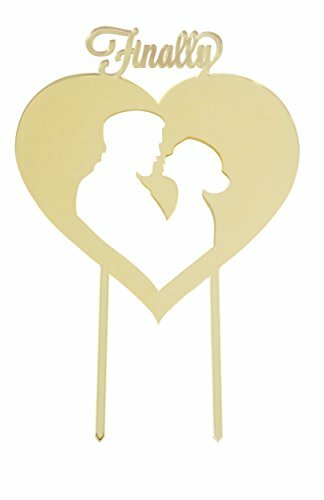 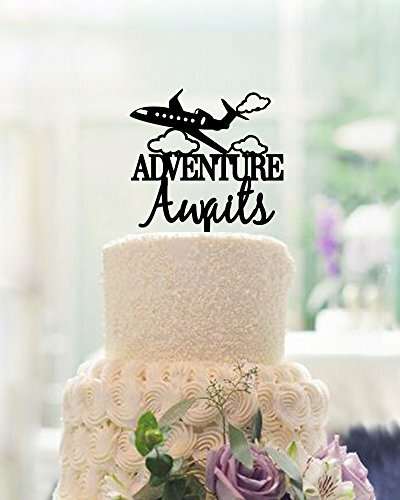 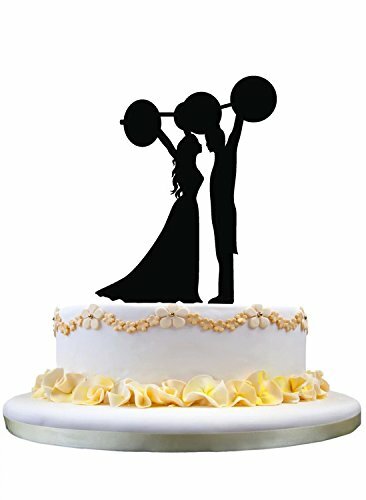 Categories: Elegant Wedding Cake Toppers, Love Cake Toppers, Wedding Cake Toppers. 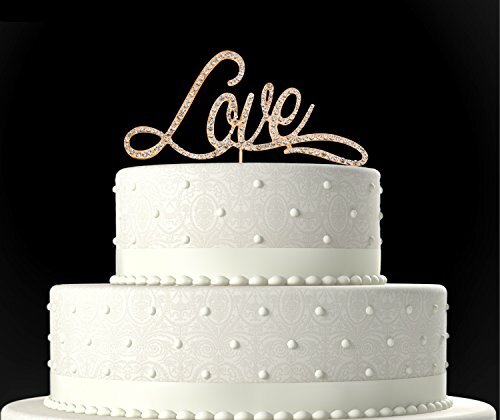 ADD AN ELEGANT TOUCH TO YOUR WEDDING CAKE with Rubies & Ribbons’ stunning “Love” cake topper! 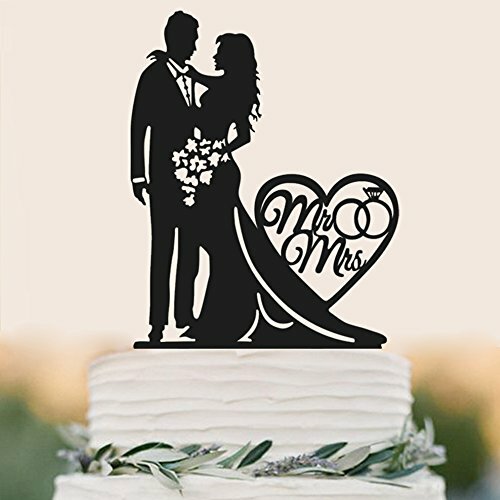 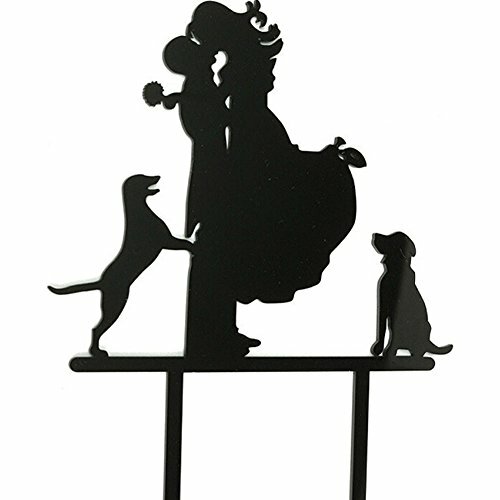 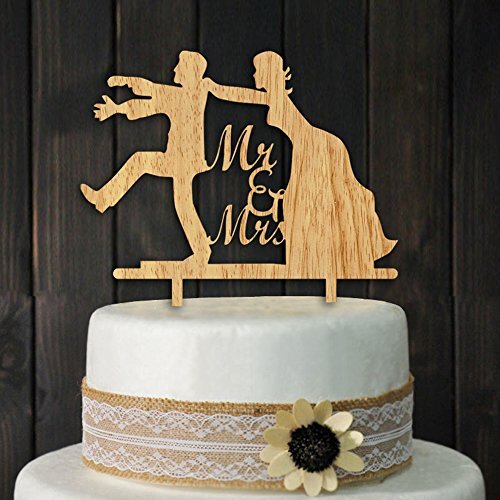 HIGHEST QUALITY: Solid metal alloy gold cake topper is covered in rhinestone crystals, and is sturdy enough to save as a keepsake for years to come! 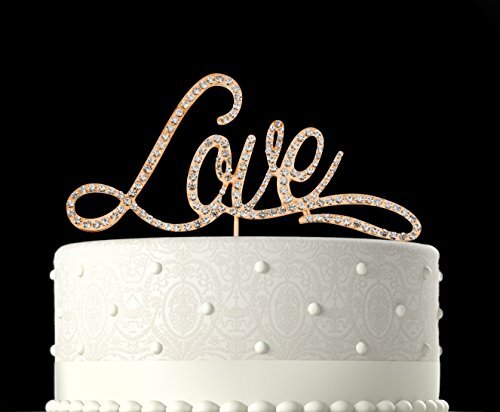 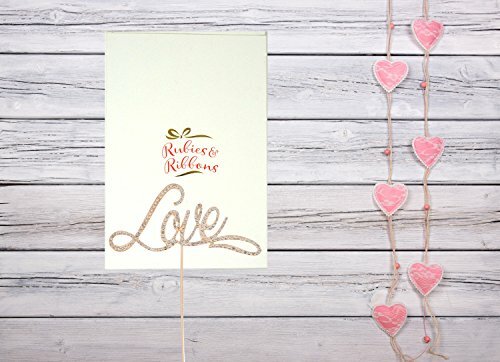 BEAUTIFULLY DESIGNED: Features “Love” in a beautiful handwritten script. 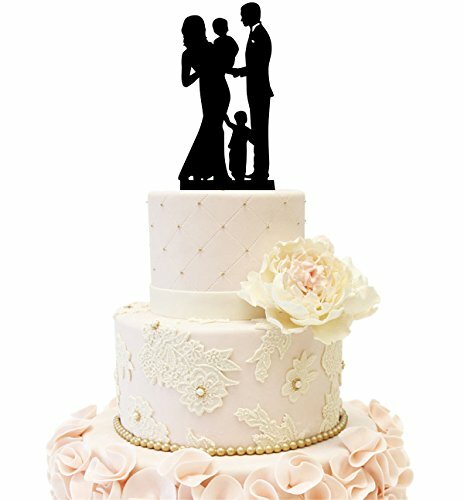 Perfect for weddings, anniversaries, engagement parties and more!